Top three complaints about my holsters. Home » CCW Tip of the Week » Top three complaints about my holsters. Top three complaints that I have received about my holsters, plus one that I love. 1. My Paddle Holster is too tight; I can not draw the gun from it with out the holster coming out of the waistband of my pants. 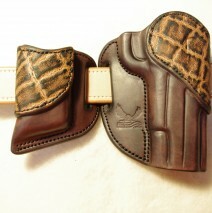 A Paddle holster will be tight in the beginning and may need to be broke in to your gun when you receive it. If it is that tight, place your unloaded gun in the plastic bag that the holster came in and put the gun in the holster for about an hour, then draw the gun several times. Repeat this process if it is still too tight. 2. My Invisi-Tuck leather IWB holster seems to not be tight enough (poor retention). Yes your gun may fall out of the holster if you just put the gun in it and turn it upside down. 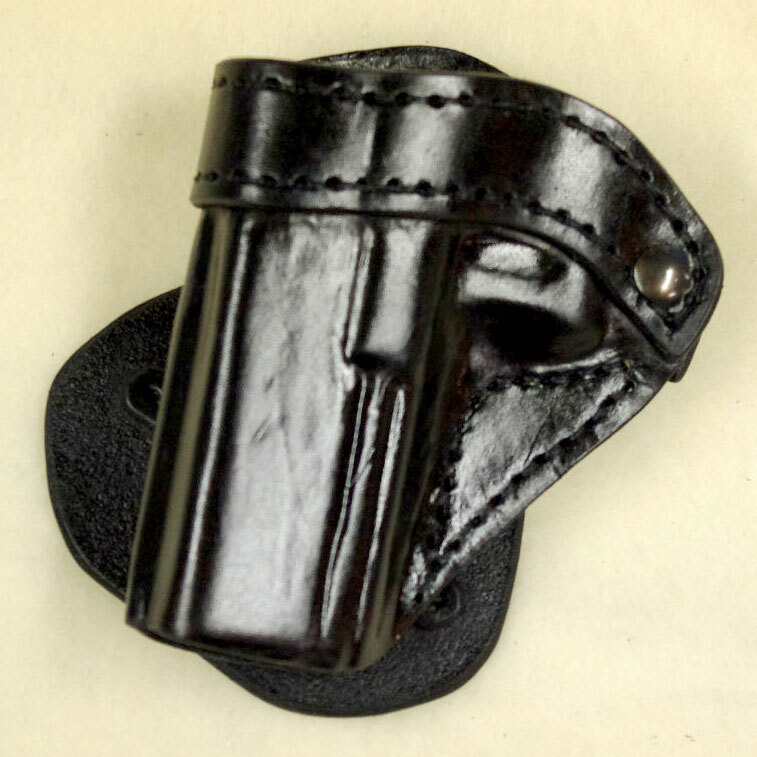 The retention of your firearm in the holster is in part due to the fact that your body is against the back plate and it causes the pocket of the holster to bend around the gun. 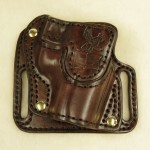 This slight pressure will tighten up the holster and keep the gun in place. The gun has to stay in the holster while you are wearing the holster. 3. With my Invisi-Tuck leather IWB holster I can’t get a full grip on the handle of the gun. First this is more prominent on some pistols than others. The Invisi-Tuck comes with a modified combat cut because it tends to allow for both comfort and practical use. For some individuals, practical use is more important. In these situations, I offer the combat cut at no charge. 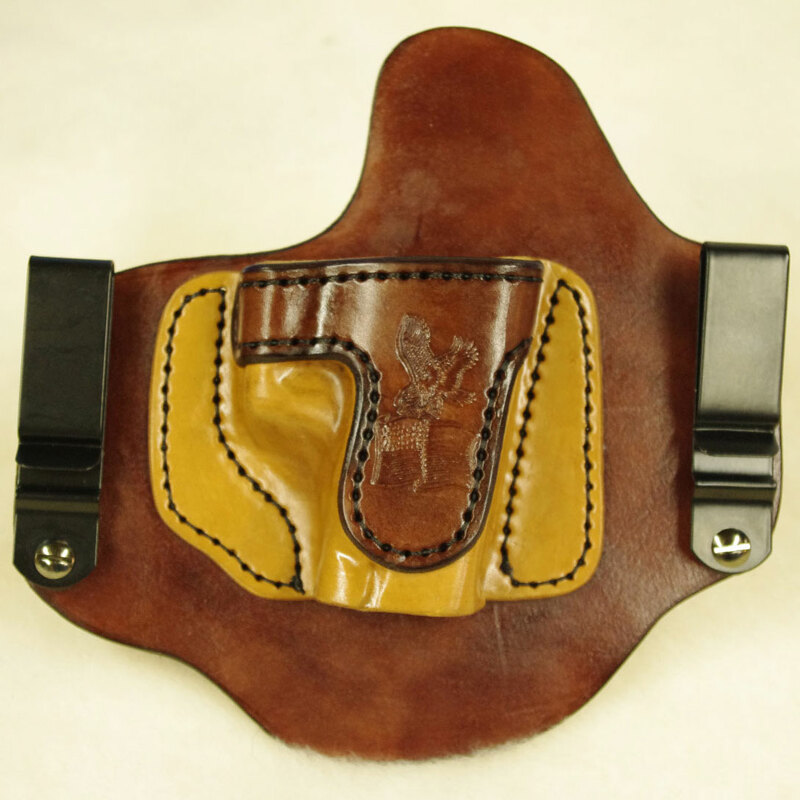 If you know that you will need this, please order your holster this way, as it is easier to make the holster this way, rather than modifying something that has already been made. If you need this done after the fact, you will be responsible to pay for the shipping both ways. 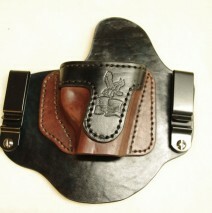 99% of my customers find the holster works great as is. 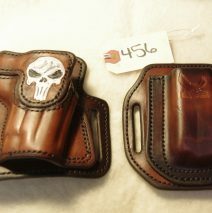 My holster looks too nice…it is a shame I have to conceal it. Thank you, I take great pride in every piece I ship. 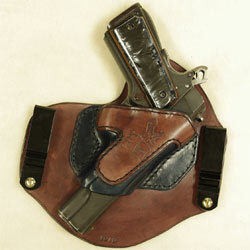 The invisi-Tuck has strong enough clips to hold the holster in your pants. I will email you you with more specific answers. No bad or ugly! All good! 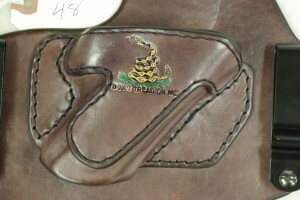 I recommend this company to anyone looking for a comfortable, quality crafted, concealable holster. I ordered a Invisi-Tuck for my SW9VE, what can I say? Magnificent. Thanks Jay!